This award recognizes communities focused on preserving and protecting the historical assets of their towns. By honoring historical buildings and structures, North Dakota’s communities connect generations of residents and inspire community pride. The Main Street Awards are a collaborative effort of the Office of Governor Doug Burgum, North Dakota Department of Commerce and North Dakota League of Cities. For more information about the award, www.mainstreetnd.com/awards. 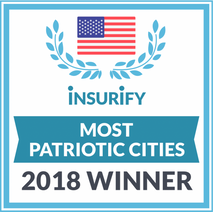 This award recognizes the community in each state with the highest percentage of current and former military service members according to Insurify data. In honor of Memorial Day, Insurity data scientists set out to identify the most patriotic community in each state. By analyzing over nine hundred thousand auto insurance applications that indicated the military or veteran status of the applicant(s), they were able to identify the cities whose residents have given the most to the nation. View more information about the award and the list of recipients at www.insurify.com's Patriotic City Awards webpage. 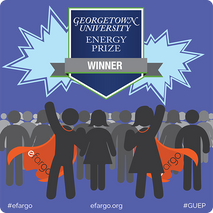 Winner of Two-Year Nationwide Competition Aimed at Creating Innovative Solutions for Reducing Energy Consumption, Georgetown University Energy Prize (GUEP). The National Council for Home Safety and Security, an organization of companies and individuals in the home safety and security industry, recently published its ranking of the Best Cities to Raise Kids in the U.S. out of 526 qualifying cities, Fargo made the top 100, ranking 78th, and was the only city in North Dakota included in the list.